I have a dark confession to make: I’m really not a big fan of H.P. Lovecraft. Maybe I need to turn in my geek credentials, but I always thought Lovecraft’s writing was overwrought. I struggled through most of his work, finding little joy in the actual reading. I am, however, a big fan of the Lovecraft Mythos universe. Most of my appreciation of the Mythos derives from secondary sources: games, novels about the Mythos, and other popular media. For example, I’m a big fan of Charles Stross’ The Laundry series, which mixes Lovecraft’s Mythos with a bit of Ian Fleming, plus a sprinkle of The Office thrown in. 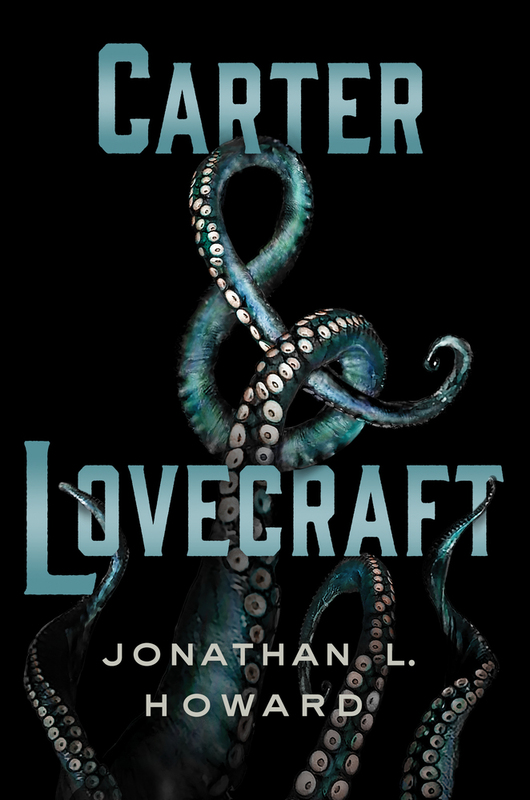 Carter and Lovecraft is a loving paean to H.P. Lovecraft written by Jonathon L. Howard. The novel follows the exploits of former police detective Daniel Carter and Emily Lovecraft, the last descendant of old Howard Phillips. Howard occasionally adds a touch of Lovecraft’s writing style, but mostly sticks to more straightforward writing, even when describing otherworldly events. The characters themselves are well-drawn. Of the two main characters, Carter is a little more predictable, but only a little. He’s the classic New York detective who’s Seen Too Much. Emily Lovecraft is a delight: capable, wry, and tough as nails when needed. When Carter discovers he’s inherited a house and bookshop in Providence, he discovers the bookshop is run by Emily. The nervous first encounter captures the inevitable awkwardness perfectly. Events overtake the pair, who become unlikely partners to uncover a dark secret lurking in Providence. The story winds through its tale in unpredictable ways, but never succumbs to any kind of “gotcha” plot twists. The main villain at first seems to be a bit of a mustache-twirling trope, but appearances are deceiving. Overall, Carter and Lovecraft get a big thumbs up from me. I hope that this won’t be the last we’ll see of this unlikely partnership.